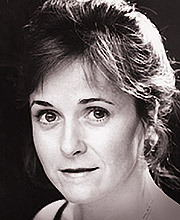 Amanda Root’s main TV and film credits include Anne in the memorable film adaptation of Persuasion and Miss Temple in Zeffirelli’s film of Jane Eyre. Other key roles have been in TV dramas including The Forsyte Saga, Love Again, Anna Karenina and The Robinsons. She has played many leading Shakespearean roles including Cressida, Rosalind, Lady Macbeth, Cordelia and Juliet.